BaseVenture, an innovative new software as a service (SaaS) platform that is transforming private fund management and administration, has been selected to be a presenter at Finovate Spring 2016. BaseVenture is a financial technology startup with an office in the Adams Hub Business Incubator in Carson City, Nevada. Adams Hub open co-working areas perfectly complement the dedicated office space, state-of-the-art conference rooms and community gathering areas all powered with cutting edge technology. We believe that Nevada is the next cradle of tech innovation. Adams Hub is proud to congratulate BaseVenture on its quick progress and traction in the financial technology (FinTech) industry – as evidenced by BaseVenture’s selection to be a presenter at Finovate Spring 2016. BaseVenture, an innovative new software as a service (SaaS) platform that is transforming private fund management and administration, counts Adams Hub as one of its early investors, and has an office within the Adams Hub Business Incubator in Carson City. BaseVenture will use the Finovate Spring 2016 Conference to unveil the company’s breakthrough cloud-based platform that simplifies and automates the operations and administration for thousands of private funds. Finovate Spring 2016 is a two-day showcase of the latest innovations in financial technology (FinTech) from leading established companies and emerging young startups. There are over 50,000 private funds in the USA, spending billions of dollars a year to manage their operations and administrate their funds. The industry is fed up with the current model of outmoded & disconnected technology and inefficient processes. BaseVenture was created by listening carefully to the needs of fund managers, fund administrators, and private banks in order to provide them with the platform they need. BaseVenture’s platform helps them spend less time worrying about their operations, and more time focused on driving growth for their investors. Private funds are big business in the United States. Money invested in private funds will grow from $10T to $18T by 2020. Private funds or alternatives investments are the fastest growing category of investments, made up largely of real estate, private equity, and hedge funds. The problem is that fund management and administration today relies on inefficient and antiquated technology & processes. BaseVenture’s platform radically simplifies, interconnects, and automates the middle and back office functions that are required to manage a fund. This eliminates the reliance on multiple disconnected tools like spreadsheets, email, pdfs, and instead provides a SaaS platform that is intelligent, scalable, secure, and affordable. For more information on Adams Hub, contact Miya MacKenzie at 775.222.0001, or visit http://www.AdamsHub.com. For more information on BaseVenture, contact Chris Andraca at 775.222.0007, or visit http://www.BaseVenture.com. BaseVenture is a SaaS platform that simplifies and automates the management and administration for the more than 50,000 private funds (private equity, real estate, hedge funds and venture capital) in North America. Fund Managers, Fund Administrators, and Private Banks that use our platform stop worrying about their operations and have more time to focus on driving growth for their investors. Learn more at http://www.BaseVenture.com. Adams Hub’s mission is to inspire entrepreneurs and help them turn their big ideas into innovative businesses. 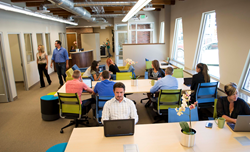 Inside our state-of-the-art facility in Carson City Nevada is a collaborative workspace for knowledge-sharing, networking, and learning. From educational tools and business services, to an extensive network of mentors, service providers, and capital, Adams Hub is where entrepreneurs launch, grow and accelerate the success of their start-up. Learn more at http://www.AdamsHub.com. 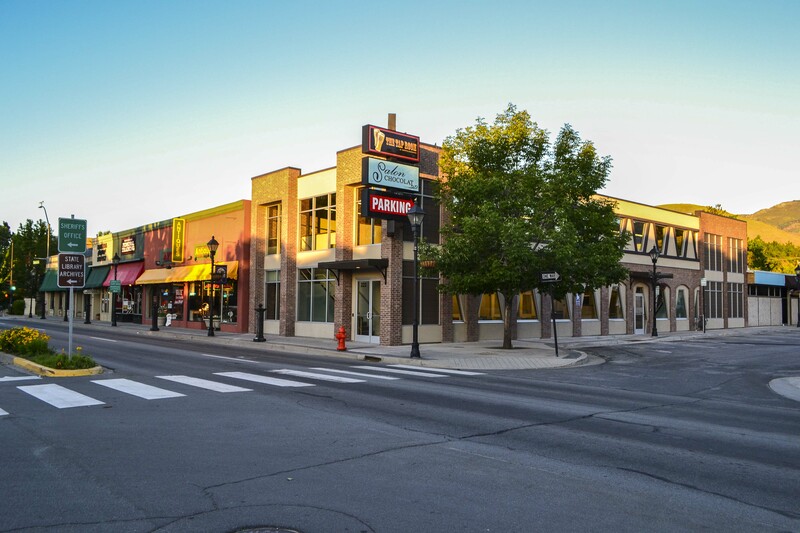 BaseVenture is located in the beautifully restored, historic Adam’s Hub building in heart of Carson City, Nevada.BaseVenture provides fund managers, fund administrators and private banks with an innovative financial technology platform that utilizes modern, cloud-based technology to streamline digital fund management.